Quist Insights™ was developed with business owners in mind. Every company owner should have the opportunity to understand their company value - both quantitative and qualitative measures. Shina Culberson brings over two decades of financial and valuation experience to her leadership and guidance of Quist Valuation, a 35 year old business valuation firm. Known for her direct style and laser focus, Ms. Culberson specializes in business and securities valuation engagements for corporate finance, financial reporting and tax purposes. 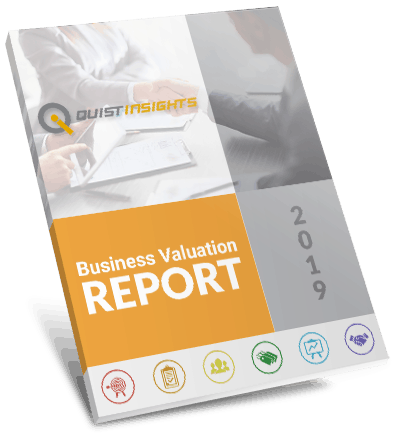 Quist Insights™ includes a broad spectrum for analysis of your business, creating recommendations for business owners about how to make an impact on the value of their business. “We’re committed to help companies understand the value of their business, and more importantly, give them a path forward to increasing that value” according to Ms. Culberson. Parent company, Quist Valuation, was founded in 1984 and has grown into one of the nation’s leading independent business valuation and securities analysis firms. Our expert staff of Chartered Financial Analysts, Accredited Senior Appraisers and economists guides public and private companies and investment entities through the intricacies of financial reporting, corporate finance, tax compliance and related litigation support.